This isn’t something that would have occurred to me, and I confess I found it fascinating. This is why the internet is such a win for collaborative thinking, the great Hive-Mind of the 21st century. Plugin and the accumulated knowledge of 50,000 years of history and innovation can on the tip of your cerebral cortex. One of the best examples of punctuation shuffle I have ever seen. 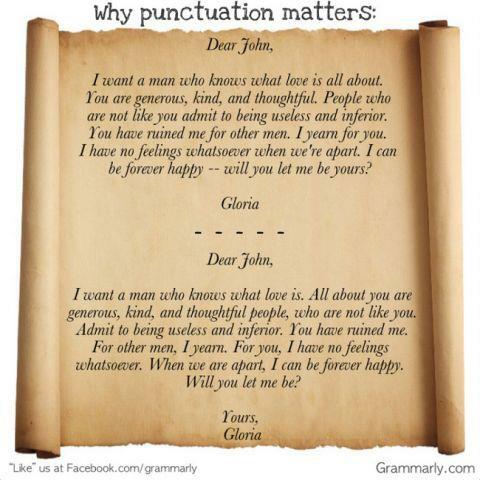 Oh, the hypocrisy of sharing this on the internet, the medium where punctuation goes to die a terrible death.